Matomy Group as appointed Rupert Howell, the former managing director of brand and commercial at ITV, as the Israeli ad tech company's non-executive chairman. Having previously served as deputy chairman since Matomy’s IPO in July 2014, Howell takes over from Ilan Shiloah, who will continue to serve on the board as a director. Howell said: "I am delighted to take on this expanded role at a key time in Matomy's development. I look forward to working closely with the executive and board to secure Matomy's position as a market leader in its rapidly evolving space." The company said the move is in line with Matomy’s corporate governance strategy after the IPO. Publicis Groupe bought a 20 per cent stake in the Israel-based company in October 2014, later increasing its stake to 25 per cent. The company listed on the London Stock Exchange in August 2014, valued at £203 million. Howell is currently the group development director at Trinity Mirror, the publisher of the Daily Mirror and the Sunday Mirror. He left ITV as the managing director of brand and commercial in 2010. 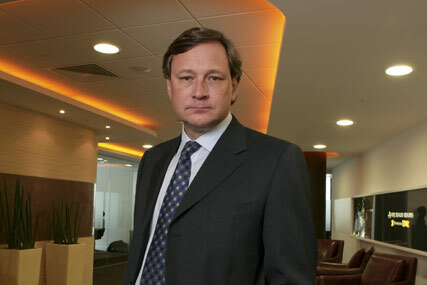 He had been at ITV since 2007, but stepped down as a result of changes proposed in a strategy review by the chairman, Archie Norman, and the chief executive, Adam Crozier. Shiloah said: "Rupert brings significant relevant high level board experience and industry knowledge. As Matomy increases its focus on delivering quality programmatic, mobile performance together with accelerated top- and bottom-line growth, Rupert is now the now right person to chair the board." Last year Rishad Tobaccowala, the chief strategist at Publicis Groupe, was elected to the board of Matomy.